This is about 11 Broadway or the “Bowling Green Offices” first built in 1896. When it was first built, it was I believe listed as having the most office space of any building in the world. I am not sure about the height thing. There were a few other New York buildings competing in that league around that time. The building was designed by two British and or Scottish Architects William J. and George A. Audsley, brothers. These two were of the last of the great self taught architects before the Brits and the Americans started to formally teach that subject and award degrees in the nineteenth century. They were on the crest of the wave of Gothic Revival in England. 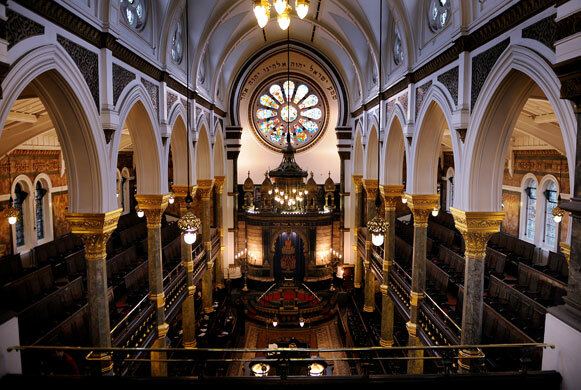 Many famous church and synagogue landmarks in England by these two architects still survive. They would seem to have followed the money back and forth across the Atlantic in terms of designing many churches, museums and one large New York office building. Their fame in the American side of the nineteenth century architecture equation is only just emerging to match that of their place in British history. 11 Broadway has a curious mix of styles. I have passed it and have thought it Egyptian in style. Many call it Neo-classical or over adorned (Victorian) classical Greek. It is not simple Greek in any case. It is probably the oldest building on Bowling Green, the oldest public space and or park in New York City. I have seen this building in grainy silent film footage of crowds swarming the White Star’s New York Office in 1912 trying to get news of the Titanic Disaster. I have not been able to locate a still photo to illustrate this historic footnote. The second floor space of that ancient shipping line has been occupied in modern times by Radio Shack and Subway. This second floor retail space is mounted by a stone staircase from the sidewalk and in between two main decorated entrances to the building. The building had a major redo in the last 15-20 years which I cannot find much on. As far as the original end of nineteenth century architecture there is a architectural floor plan on page ninety of the below mentioned link which I so not know how to reproduce here. I learned something interesting as to why some of these old building are designed the way they are regarding the use of light and ventilation. In the Audsleys' work, one finds two of the eight passenger elevators devoted to serving the highest floors. Additional provision was made for a freight elevator whose car had about twice the floor area of the passenger units. So complete was the reliance on elevators at this time that one finds but a single staircase serving the upper floors. My own interest in the architect, George A. Audsley, has to do with having been educated in his last project of St. Joan of Arc School in Philadelphia, 1922. My original connection to George Audsley came from research on the Internet regarding that school and running into David H. Fox’s labor of love in the biography of George Audsley’s lifetime works and projects along those shared with his brother. White Star Line Offices NYC 1912 - Titanic inquiries - Number on plague by door lists this entrance as "9" Broadway. Great building. Thanks for the post. I was just reading about it last weekend. Same the White Star ticket booth is now a Radio Shack. Blueprint of original upper floor plan 1896. ^ Antique floor plan: ONE stair for fire egress. Connecting rooms ensuite, like a Tudor palace, but parallel with a corridor that provides the same access. The corridors, btw, are 100% dead end. At some time, the fire department must have made them install one or two more stairs; if not, this is a dangerous building in a fire. Yup, you can see in the Bing Maps birds-eye that they added two open-air stairways at the end of those two wings. Just looking through the list of architects that I'm covering in my long-delayed work on the City of London, I hven't run into thWm yet. I guess they didn't practice in London much. At that time, Scotland seems to have been a great exporter of architects globally. Sounds genuinely intriguing. Do tell something. And welcome back, stranger! George also has a lot of other interests such as Japanese print designs and organ building, such as the Wanamaker Organ in Philly, not mentioned here as it is a bit off topic. 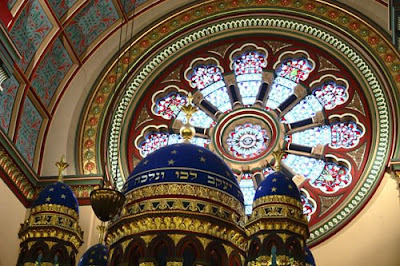 The brothers did jointly design the Princes Road Synagogue in Liverpool. From the photos I see, it with it's interior design patterns looks like one of the most beautiful houses of worship interiors I have seen. Last edited by Statun-Ilandur; February 28th, 2010 at 12:25 PM. Last edited by Statun-Ilandur; September 12th, 2012 at 10:56 AM.